I have to agree with the Barbara Rosenblat fans! This is one of my favorite books and I have read it over a dozen times. It's a classic - adventure, mystery, humor and wonderful dialogue. 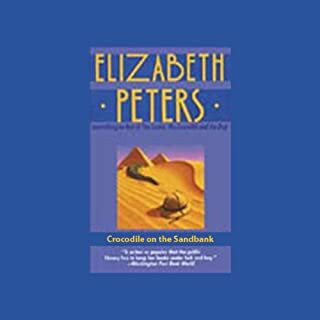 Having heard both of the book's narrators (Barbara Rosenblat and Susan O'Malley) and I have to agree - search AUDIBLE until you find Barbara Rosenblat's reading - that goes for all of the books in this series. Princeton. Good Friday, 1999. On the eve of graduation, two students are a hairsbreadth from solving the mysteries of the Hypnerotomachia Poliphili. 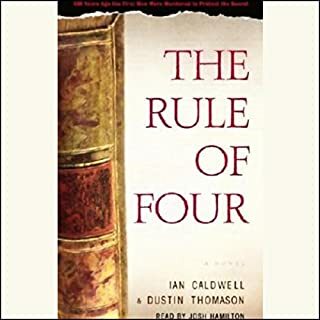 Famous for its hypnotic power over those who study it, the 500-year-old Hypnerotomachia may finally reveal its secrets to Tom Sullivan, whose father was obsessed with the book, and Paul Harris, whose future depends on it. As the deadline looms, research has stalled, until an ancient diary surfaces. While some of the characters' discussions of Renaissance history are fun and the theme of obsession with a strange book is promising, this novel never decides what it wants to be and so never becomes anything. There is a 'coming of age' plot (lost son seeks reconciliation with late lost father) that everything hangs onto and if that had been more carefully developed, this might have been a very good novel. It has a very neatly observed setting and the authors are intelligent but they lack the power to sustain tension and suspense. The mysterious book subplot (Hypnerotomachia Poliphili) wanders around until it seems to just lie down and nap. Worst of all, the people in the book are very flat (no pun intended). I never felt like I was listening to more than one character speaking, although the narrator tried his best. Definitely mental chewing gum that doesn't retain its flavor to the end.